Crowning or capping a tooth will usually take two to three visits but at James C. Lewis DMD Dentistry, we will complete the crown on the first visit with our CEREC machine. 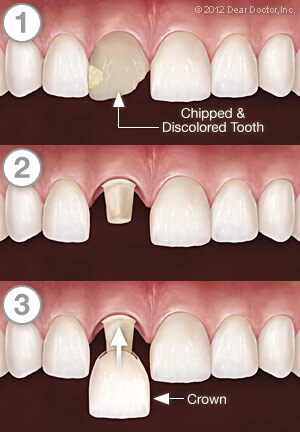 At the first visit, your tooth is prepared to receive its new crown. First, it is shaped to fit inside the new covering. This will involve some drilling to give the tooth a uniform shape. 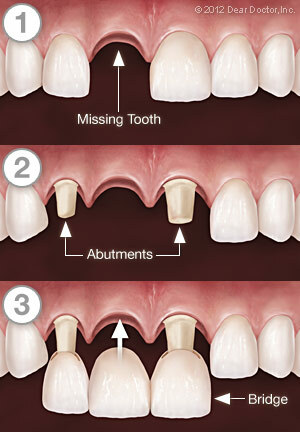 The tooth and the surrounding area will be numbed beforehand. If there is very little tooth structure left to begin with, the tooth may have to be built up with filling material, rather than filed down, to support the crown. Your permanent crown will be attached to your tooth with either a resin that hardens when exposed to a special light source, or a type of permanent cement.